You decide – finally – that today is the day. Today is when you head down to the nearest fitness center to start getting the body you’ve always dreamed about. No matter the reason you’ve decided to get into shape, it’s fantastic that you decided to take the first step toward looking spectacular. Instead of wishing you had the perfect body, now you can have it. If you are still struggling with the desire to get into shape, then read Five Ways To Stay Motivated To Work Out This Summer, so you can get motivated as well. Once you’ve decided that you want to start getting in shape; how would you like to proceed? Do you want to concentrate on a specific part of your body? Do you desire to just be healthy or to look athletic? Have you considered what type of exercise you want to commit to? If you have no idea how to answer any of these questions, then perhaps it’s best if you considered personal training. It is when you meet with a personal trainer and figure out a fitness regimen that works for your body and helps you meet your fitness goals. If you’re shaking your head because you’ve got this workout thing, then you may want to stop and reconsider the benefits of hiring a personal trainer. In the past, you may have figured out what works, but as your grow older what worked prior may not be what still does. A personal trainer will get you on the right track to creating a workout routine that you’ll stick to and to make your body work hard, so you see a difference. If you’re new to working out or have been doing it for awhile, a personal trainer will provide some advantages. The hardest part about working out is staying on track. If you go out of town for a few days and stop working out, it’s harder to come back to a regimen you’ve created for yourself. If you decide to work out by running, but absolutely hate it, then it’s difficult to get up every morning because you despise doing it. Overall, a personal trainer will keep you on the right track to working out, especially if you have a scheduled appointment with him or her. Staying on track to working out is when you truly see a difference in your body. If you commit to Monday thru Friday, but decide to drop the ball on one or two days, the inconsistency won’t get you to where you need to be. Have you ever looked in a fitness magazine and tried the exercises to find that they just aren’t yielding the results you want? Have you read about several different tips for getting a better bum or arms and found that they just aren’t working for you? Everyone has a different type of body. There are magazine articles centered around how we all have different bodies. The versatility in body types means sometimes the tips you read about may be good for one person and not the other. By deciding to do personal training, we’ll give you the right tips for your body to help you target the areas you want. There might be millions of arm strength tips online; however, when you aren’t shown the exercise, there may be errors made such as you aren’t lifting the correct amount of weight and thus can hurt yourself. A personal trainer will help push you to lift more, to do more reps, and show you the right way to do the exercise. When you decide to go to a personal trainer, you’ll go over your weight loss goals, your BMI, and create a routine for your body. A personal trainer will also know what you need to focus on when it comes to the areas you want to make stronger or the exercise you want to build on. By knowing what you need to focus on, the personal trainer can increase your workouts and change up the routine every time you meet. There will be a log as well so you can track the amount of reps and the weight you lift with the machines as well as the type of cardio that you’re doing and for how long, so you don’t have to memorize it. 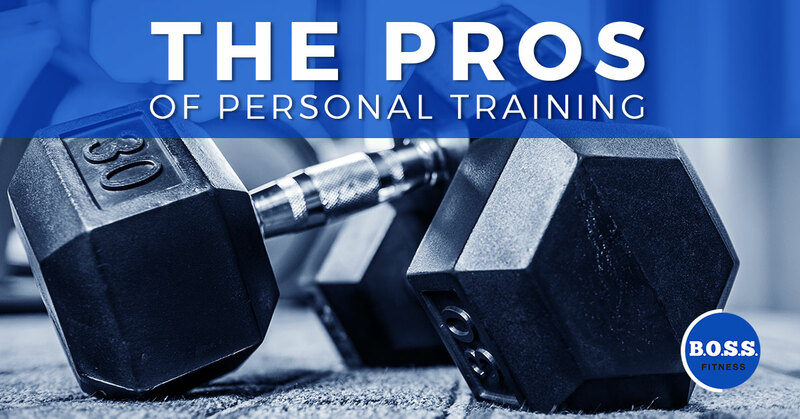 You might think you have all of the answers when it comes to personal training, but to help get you started our B.O.S.S. Fitness personal trainers will help you figure out the proper routine for you. Sign up with a personal fitness trainer today and get the body you’ve always wanted.